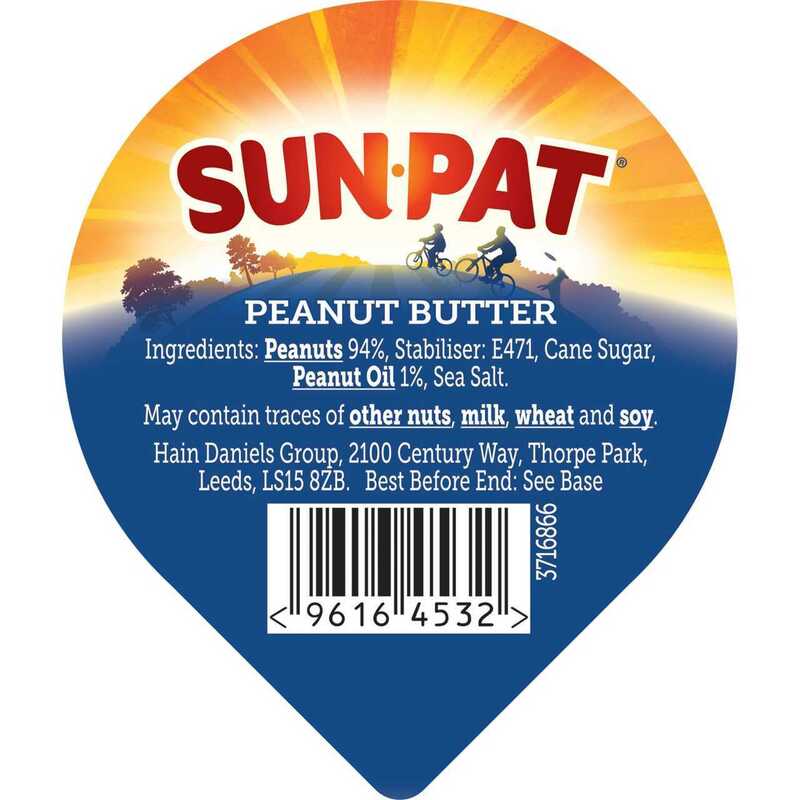 Sun-Pat is the nation's favourite peanut butter brand. These smooth peanut butter portion pots are a great offering at breakfast for guests to use on their morning toast. These portion packs reduce waste and allow for better portion control. PEANUTS (94%), Stabiliser: E471, Cane Sugar, Sea Salt, PEANUT Oil.